Hi all. 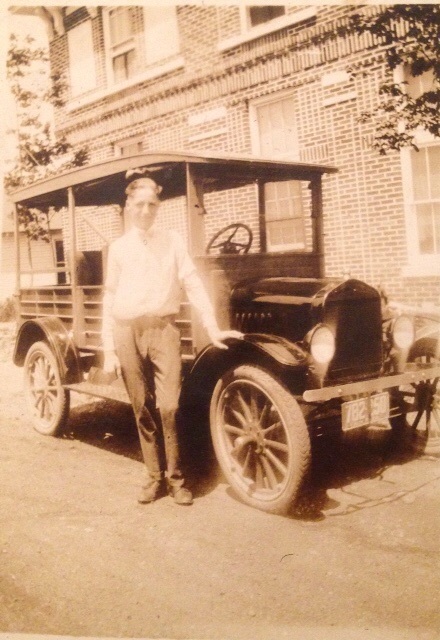 I'm attaching a picture below of my great grandfather and his depot hack. I know it's a long shot but I'm hoping to find the plates. The plates are from 1924 and the number is 782-250. I'm not sure if it was only one plate or two. I really hope to find it. 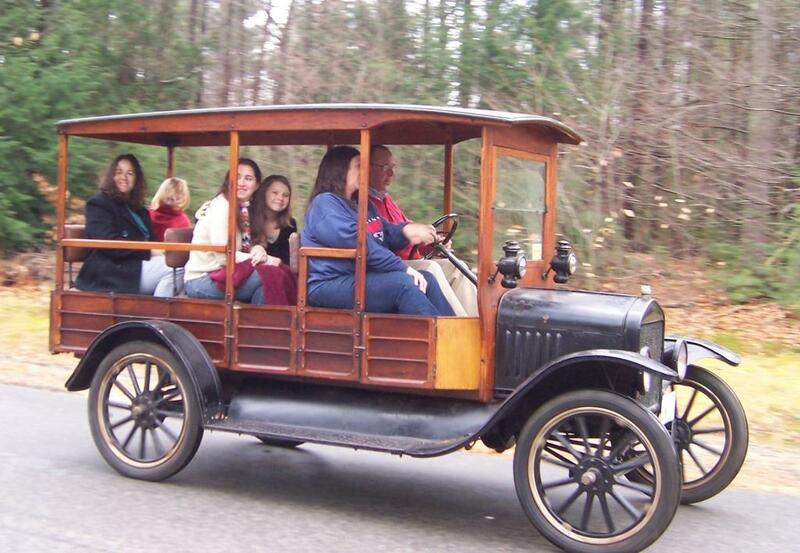 If it's on a car that is being used I have a set of 1924 plates that are in mint condition. Yes, a very long shot. Better specify the state. New York? Yes. Thanks Steve. It is new York . I don't know about New York licensing laws, but can you perhaps call the DMV and see if they have been registered to anyone recently? You can actually search on the NYS DMV website to see if anyone is using that number. It is a function under the custom plate page. I have used it several times to make sure I could use vintage plates I had bought. There was a license plate maker who advertised in Hemming's Motor News years ago and would make a copy of any plate you wanted. 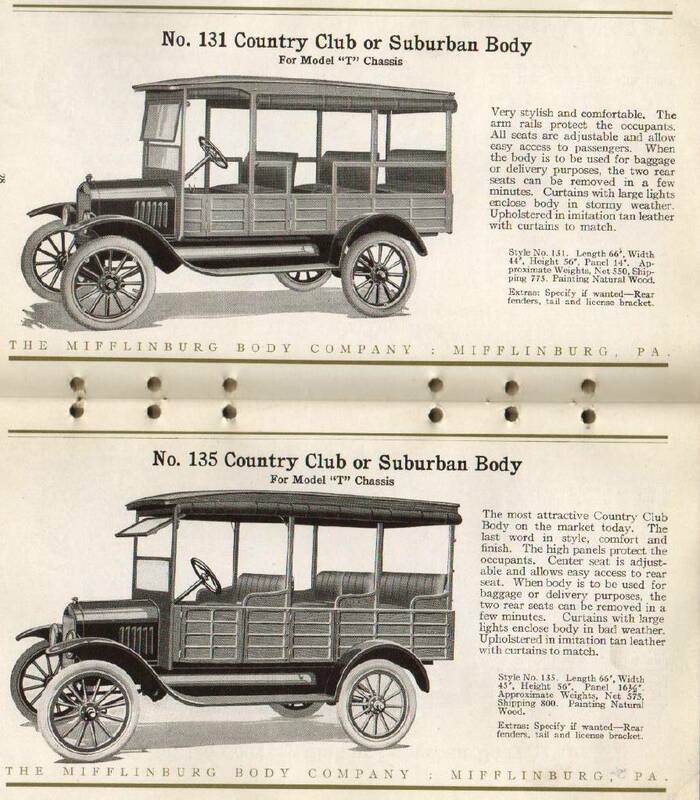 FYI - that looks like a Mifflinburg 131 "very stylish and comfortable" body. New York plates were, and perhaps still are, issued also by region and sometimes by city. Where did your great-grandfather live? If the plates still exist, perhaps they are more apt to be found locally. Check first. Some states, incl. Michigan, only allow original plates. No reproductions. I just looked up the plate number and it seems to be in use. My grandfather was from queens but Moved up here to the Catskills. The number is probably in use on modern plates. But if by some miracle these are your grandfather's old plates, perhaps the current owner would be willing to swap for another set.